Paolo Caniccio is the CIO responsible of all technology services for the Post Trade Italy Division. 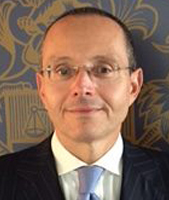 He has also been appointed as a Chief Technology Officer of the Italian Central Security Depository, Monte Titoli. After having spent 10 years on the banking sector, he began his professional career on the financial services accruing, firstly, as a Borsa Italiana and, subsequently, as a London Stock Exchange Group several managerial experiences within trading, information services and post trade business divisions. In 2016, he also began to cooperate with the LSEG CTO to explore potential opportunities leveraging the emerging technologies, with the aim to carry out projects/prototypes on Blockchain and on Artificial Intelligence.